A two double bedroom, end of terrace house, in a cul de sac location. 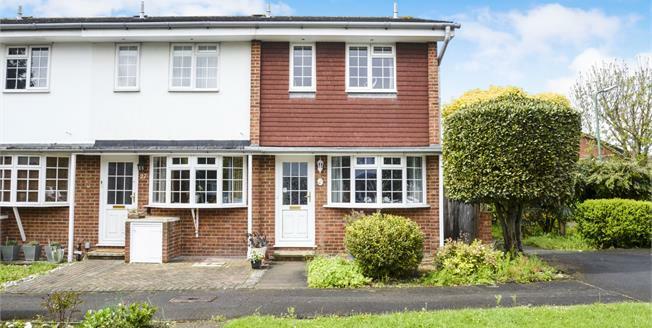 This pretty home offers excellent reception space with a front lounge that extends to 20ft in length and a good size kitchen with direct access to a low maintenance rear garden. The first floor has two double bedrooms and a family bathroom. There is a useful side entrance to the rear garden and the property further benefits from a private garage. Trent Way is a cul de sac which is well placed for the shops and restaurants on London Road. Worcester Park station provides access to London Waterloo in under thirty minutes and is located within Zone 4. Buses serve Kingston, Sutton, Epsom and Morden with it's Northern Line links to London.